The above info came from pocahontas, and was edited by yours truly (contact me). 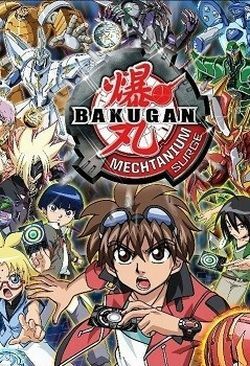 Mechtanium surge is the fourth season of Bakugan which follows Dan Kuso, Marucho, and Shun as they battle Mag Mel, a strange masked man, Anubias of the Team Anubias, and Sellon of the Team Sellon. The mysterious Code Eve is still around and bestows Drago a gift in order to defeat Mag Mel, who is inside Dan'S subconscious. The above description came from pocahontas, and was edited by yours truly (contact me).